We’re constantly searching for new ways and methods to save money on some things to spend them on other things. That is how marketing works. The more stuff we buy, the more stuff we want. The more services we get, the more services we need. And that is the rule of life. No matter how rich a person is, everyone saves money on something more important in his/her life. With the flow of time, we mostly learn how to save and spend effectively, though not all people know how to do it correctly and how it can be actually implemented in real life. All of us know such words as sales and discounts, but not all of us know that they are not the only ways to save money. What we’re talking about is online saving. How do online services can help you to save more? 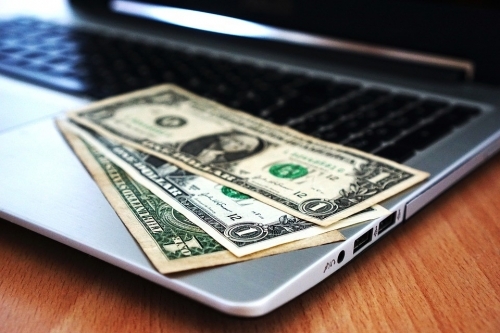 Even the biggest companies fight for the customer’s dollar, jumping into the online business. Today we’re going to talk about how online services and the ability to use them correctly can save you a lot of money. But first of all, we recommend our readers to take care of their devices and data safety, as using online services means banking as well. Always protect your smartphones and laptops with the VPN services. So, let’s talk about methods of money saving online. Online marketing has already taken a huge part in almost everyone’s life. Each industry considers a website platform to be one of the biggest advantages and positive aspects of the company’s workflow. We’re going to look at different industries and different services to recommend you the most effective ways to save money by using them. Online Grocery Shopping. The biggest players and the leaders of the market have launched their own online grocery platforms as the most demanded ones by the customers. Amazonfresh, Freshdirect, Instacart are the online grocery shopping platforms which are proud of the number of customers they have. But what is so special about this online vs offline shopping battle? The secret is that now it is much easier for the customers to compare the prices to find out where the best deal is. On the same day, you can find absolutely 4-5 different prices for the same product in different places in a few seconds. Doing this while shopping offline would take at least a couple of hours. Sometimes the difference between the highest and the lowest price can be up to 5$. So, our first advice is online grocery shopping. The second type of service we want to talk about is cashback. Cashback services show you how much money you can get back for a specific purchase. One of the most popular cashback services is Ebates. All you have to do is to type the name of the store you’re going to shop at and see how much cash you can get back. Very simple, but very effective. Monitor such services, as sometimes they offer a good deal of up to 10-12% off. And the last but not the least is online booking services. All of us know how expensive tickets for trains and airplanes can be. Don’t wait until the last minute when you already sit on your suitcase. Always book train and airplane tickets beforehand online via special services. Make the most out of your favorite online services and save money to invest in something special. Don’t overspend. Use your budget in a smart way. Map out your financial plan. Funny, I literally used ExpressVPN last month to save $50 on my flight to Charlotte. The trick is to check airline fares from 5 or 6 different VPN locations. In my experience, using a mix of big and small cities works best. Online shopping saves money with more than just groceries, whether you are shopping for a car or looking to get the best interest rate on a mortgage, being able to shop online allows for comparing all the leading companies in a short period of time. This can result in huge savings.